As one of the best BD/DVD disc handling tools on the market, Pavtube 3D BDMagic would be the suitable application to do so. It is capable of ripping 2D/3D Blu-rays to side-by-side (also known as Left/Right 3D mode) 3D formats with good results, like MKV, MP4, MOV, AVI and WMV. Best of all, currently it has a 30% off discount. The contents below guide you through the process of copying Blu-rays to MKV/MP4 movies in side-by-side 3D format. First, free download and install the Top 3D BDMagic for Windows or Mac version. 1. Load Blu-ray into the best 3D BDMagic. Open up the best 3D BDMagic, click “Load file(s)” button to load Blu-ray files directly from your Blu-ray disc, this requires an internal or external Blu-ray drive. You can also load a Blu-ray ISO image file or a Blu-ray folder that stored on your computer’s hard disk drive. 2. Select 3D format as output. 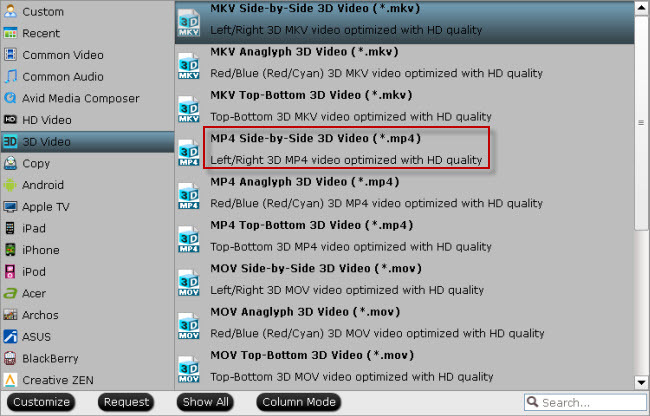 From the Format bar, find “3D Video” catalogue, and choose either “MKV Side-by-Side 3D Video (*.mkv)” or “MP4 Side-by-Side 3D Video (*.mp4)” as output. Click “Convert” button to start Blu-ray to 3D MKV or MP4 conversion in side-by-side mode. 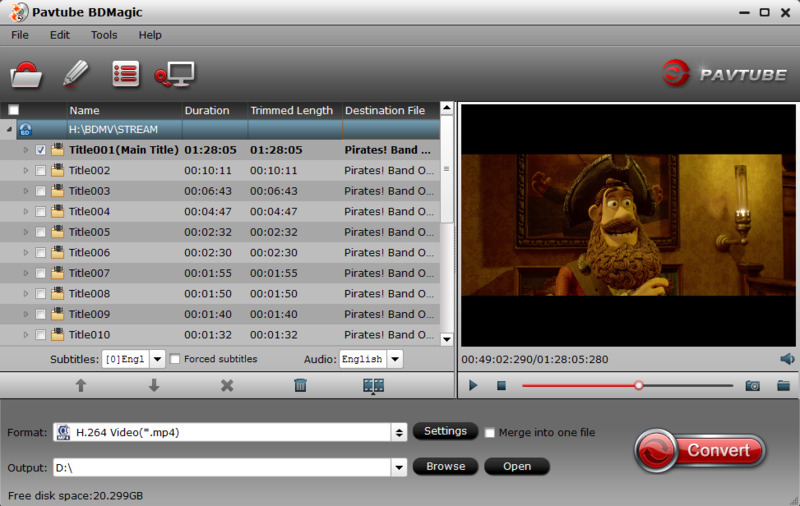 Once the conversion finished, you are able to get the generated 3D MKV or MP4 files via clicking “Open” button with ease. Good News! Pavtube Release a New Site – multipelife.com with Product Migration and Name Change. Along with the new website, Pavtube has moved its bestselling software products to multipelife.com with brand new names. Blu-ray Ripper has been renamed as BDMagic, which extends the enjoyment on easily restoring, editing, creating and eventually watching BD/DVD copies on almost all multimedia devices without limits.